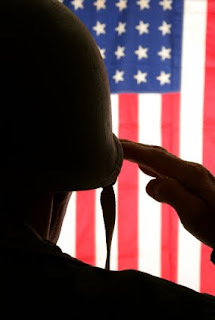 Isiah Factor | The Insite » TIME TO DONATE IN HONOR OF THOSE MEN AND WOMEN WHO FOUGHT FOR THIS COUNTRY! TIME TO DONATE IN HONOR OF THOSE MEN AND WOMEN WHO FOUGHT FOR THIS COUNTRY! October 19, 2009 | Posted in Uncategorized | Comments Off on TIME TO DONATE IN HONOR OF THOSE MEN AND WOMEN WHO FOUGHT FOR THIS COUNTRY! VETERAN BLOOD DRIVE IN HOUSTON! In honor of Veterans Day, Community National Bank (CNB), VFW Post 5619 and the Rotary Club of Bellaire/Southwest Houston ask area citizens to donate blood Saturday, November 14, between 9 a.m. and noon, at the seventh annual Commit for Life Blood Drive saluting U.S. veterans. The Gulf Coast Regional Blood Center mobile unit will be in front of the bank, 5123 Bellaire Boulevard at South Rice. Potential blood donors may register at www.giveblood.org, using sponsor code JO96 said Donna Alley, a Rotarian and CNB Vice President and Business Development Officer, who is spearheading the blood drive. More than 900 blood donations are needed every day for patients in the Texas Gulf Coast region – from accident victims to cancer patients to premature babies. According to The Blood Center, one pint of blood is needed every 1.3 seconds. Blood usage continues to increase each year, while the eligible donor base continues to decrease because of the travel restrictions imposed by the FDA. Those who donate or attempt to donate blood at the drive will be part of a three-month Blood Center incentive program that registers them for a chance to win one of four pairs of Continental Airlines tickets for travel in the contiguous U.S. The VFW Post 5619 and Rotary Club will have booths at the bank, the latter for its Flags Over Bellaire program, where the club delivers flags to display in one’s yard for Veterans Day, Memorial Day, July 4 and Labor Day. 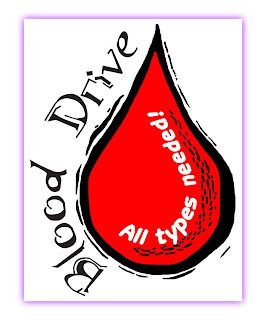 Blood donors must be 17 or older (16 with parental consent), weigh a minimum of 110 pounds (122 lbs. for age 16), in general good health without cold or flu symptoms and show a valid photo ID prior to the donation. Donors that have (partial list) a history of hepatitis (after age 11); HIV; chronic kidney disease, coronary heart disease; internal cancer requiring surgery; or uncontrolled diabetes are permanently deferred. Houston Area Rotary Clubs support U.S. veterans several ways, including “Homes for Vets” in partnership with Mayor Bill White and the Coalition to Salute America’s Heroes Houston, whereby Rotarians help disabled veterans ease back into civilian life with homes built with project funds raised. The Rotary Club of Bellaire/Southwest Houston is one of 31,000 Rotary clubs in more than 165 countries that provide humanitarian services and promote goodwill around the globe. Community National Bank is open 9 a.m. to 4 p.m. Monday through Thursday; 9 a.m. to 6 p.m. Friday; and 9 a.m. to noon Saturday. The drive-through bank, 5235 Bellaire Boulevard at Ferris St., is open Monday through Friday, 7 a.m. to 6 p.m. and Saturday, 7:30 a.m. to noon. The FDIC insures the deposits of Community National Bank, an equal opportunity lender.